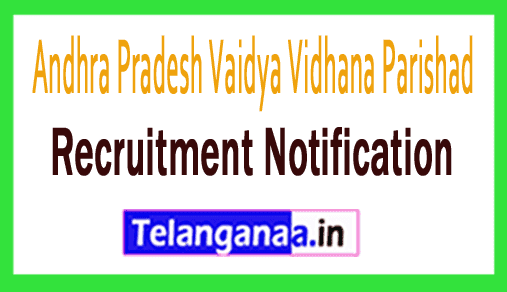 As an APVVP recruitment, an employment notification has been advertised recently to inform ad-oriented and skilled Indian nationals for 13 posts of staff nurse by the Andhra Pradesh Vaidya Vidhana Parishad. Eligible contestants can apply for APVVP vacancy by submitting applications through offline mode before the deadline of 5 December 2018. Eligibility Required: Those candidates have minimum qualification because the candidates who are ready to apply for APVVP jobs should have GNM course / BSc. (Nursing) can apply from any recognized institution. Participants interested in applying for any of the above mentioned positions should be between 34 to 42 years from 30-09-2019. The participation of the applicants will be done on the basis of their presentation in the merit list against this recruitment which will be organized by the recruitment panel of the organization. The first and most important step is to open the official site, which is http://www.anantapuramu.ap.gov.in. Last date for acceptance of applications: 05-12-2018. Click APVVP Recruitment Notification here. An existing advertisement regarding APVVP recruitment has been broadcast by the Andhra Pradesh Vaidya Vidhana Parishad to inform the Inspired and Dynamic Participants for the vacancies of Civil Assistant Surgeon. For eligible job seeker APVVP vacancies, you can apply by submitting your application on or before the end date of October 31, 2018, through offline mode. Education information: Candidates must have Post Graduation Degree / Diploma / DNB (Gynecology / Anesthesia / Pediatrics / BDS) from a well recognized University / Institution as per the post. SC, ST, BC, PH, East S candidates will be exempted from payment of application fees. Applying for candidates on 01-07-2018 should not be more than 41 years. First of all, all the applications that you want to open the official site of the organization, are http://www.cfw.ap.nic.in. Once filling the application successfully, the participants should send the complete application in all the courtesies to the address given below. Last date for acceptance of applications: 31-10-2018.